--- The second showcase of the week for me was over at Club Vegas, where Dusty Ash was more than happy to see all of us, and the men in the back were pleased as hell to cook for you. This showcase had a great crowd considering it was fighting against a Jazz game (who “shockingly” lost) and a Devil Whale tour sendoff show. That didn't stop the Heber City crowd from coming out and supporting their hometown boys in Holy Water Buffalo who kicked off the showcase in style. Followed by Utah County favorites Shark Speed, sporting a bass player who looked like he stepped out of “Double Dragon” to take on the other bands, showing off their expertise as a five-piece. And closing out the night were alt-country rockers in Bronco, playing some old and new material to the crowd for an awesome ovation. Today I have interviews with the later two talking about their careers and thoughts on local music, all with nearly 300 blurry photos from that evening to check out here. Joe: We started about three years ago, Joe and Jared the brothers had been writing music and playing in a basement trying to recruit members and by sure luck ran into Thyane who also happened to be form Vegas and shark speed was born and raised from there. Joe: We all have played music from a young age. I would say most of our parents helped strike the match, and from there we just developed our interest more and more as we grew older. Well shark speed has been highly influenced from 90's indie rock for sure! Lots of people draw that comparison and I would say for good reason we grew up during that time, and saw all those bands like Hey Mercedes, Apple Seed, Built To Spill, and Texas Is The Reason, pass through our towns. Gavin: How did you all get together to form Shark Speed? Joe: I already answered before, but we have been through a lot of other members. Myself, Jared, and Thayne are the original members of Shark Speed, we played with a lot of different amazing bass players, But now have adopted Dave and Greg from the band Jacket Weather to play with us. They are good friends and I feel have added so much to the band. The line up now is far our most solid and compatible. Gavin: How was it for the four of you to kinda mesh styles and create this polished rock sound you have? Joe: Well I think it helps that we all grew up listening to the same kind of music, so we have a direction. But like any job or project working together can be tuff, because of the different opinions and ideas people have. I think a while back we took on the notion of trying everything once. So if someone had an idea we wouldn't turn it down we would at least try it out. I think it has helped us stay fresh, and be able to have a real cohesive relationship with one another. 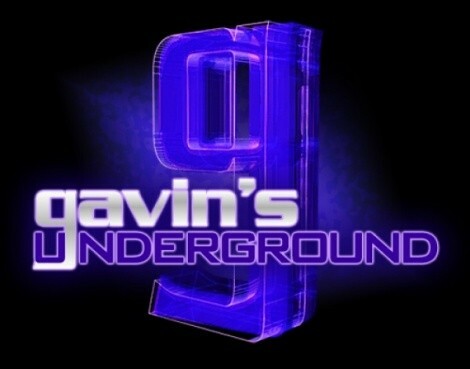 Gavin: In 2009 you released Sea Sick Music. What was the recording process for that like, and what difficulties did you deal with along the way? Joe: Well we recorded Sea Sick Music at Flying Blanket Recordings with Bob Hoag in Mesa, Arizona. I think it was the first time for most of us working with a producer and a really legit studio. It was amazing but insanely stressful. I think it was a great learning experience for everyone, learning how to understand the opinions of an outsider like a producer and taking the good and bad with it. You have to weigh what a producer is saying and say to yourself do I not like his idea because its different or not mine, or do I just hate that idea. Its a push and pull relationship, but after it was all said and done we were pleased with the results. Gavin: Why did you choose to go the DIY route rather than seek out a label? Joe: Well we have been through the process before, looking for the right label to help out, negotiating, and understand what they want, and what you want. We had several offers from smaller indie labels and they were all great people, but when it was all said in done we said it would be just as easy to do it on our own, the way we want to. The internet along with student loans allows you to pretty much be your own label, and I don't think we have regretted the decision. Gavin: What was the public reaction to to the album upon its release? Joe: Sea Sick went over really well. I don't think many people were expecting a polished full length album out of us. I remember we handed them out for free at our cd release and it was great to see the response of people after they had the chance to listen and appreciate the album. We also had some great success in the blog world, and some great reviews. Gavin: You followed it up last year with the Education EP. How did fans react to that release and what did you think of the attention you received over 2010? Joe: We tried really hard to step it up from Sea Sick to Education and I feel like we did a good job. The Education EP takes our strengths and puts them more upfront and in your face. If anytime I think the ep helped get new fans and dedicate the older ones. We were also able to sign over a couple of licensing deals from it, and receive a lot more commercial success with it. I feel like we are still pushing the education ep to the public because we really didn't get the chance to tour as much with as did with sea sick, but so far so good! Gavin: Over the past couple years you've become a standout attraction in the Provo music community. How is it for you having that kind of response from fans, and what do you think of that reputation? Joe: It has been fun, Provo is a fun town with lots of support. Between the constant support from Cory Fox the owner of Velour and the many fans down here it has been great time. House parties are nuts, and shows at Velour are always epic. The music community of Provo is by far the best I have ever been involved in. So many inviting people, and I feel there isn't a whole lot of bias on who you are, what kind of music you play or how you dress. Gavin: Are there any plans in the works to record a new album or head out on tour, or are you taking a hiatus at the moment? Joe: We are working on a new album and hopefully one day it will see the light of day. As far as the future who knows we hope to maybe just play this thing out into the sun set. Gavin: What's your reaction to being a part of the CWMAs this year, and the overall experience of receiving that kind of recognition for your work? Joe: Awesome! It is always flattering when you are recognized for the your work. Joe: Utah in general has an amazing scene. Provo has always been really good to us along with other parts of Utah like Salt Lake, Logan, and Ogden. Provo has a lot of energy because it is a college town and people just sometimes seem to be on crack! But with that there are a lot of fans or people who just want a night of entertainment, not a band they can put on their I pods. Salt Lake is similar depending on where you play. The bands that come out of here are insane, most of us are from Vegas, and in reality Utah has so much more to offer then Sin City. All in all it is tuff playing along time as a local band in a certain location. Utah is cool because it has so many different cities that seem to be different, but touring and getting out of the state I feel has helped our local presence over the past couple of years. Joe: Well I think bands need to be proud they are from Utah for one thing, it is an amazing place for music. The more people that tout about Utah when they are out of state the more attention it brings to the state and scene. Every scene could always drop a few attitudes, but that just comes with music in general, people will always be involved for the wrong reason, and be spoilers once in a while. Joe: There are so many but here are a few I kind of think of now: Forest World, Desert Noises, Parlor Hawk, and Future of The Ghost. Joe: Its been alright, we have had some love from different college and high school radios which is rad, but rather then that not much. Defiantly people in those positions could help themselves and local artists by playing more of us on the air waves. I feel it has a very good karma effect where it helps everyone involved, kind of like the Tv show My name is Earl. Joe: Well a couple of years ago I had some strong opinions about it, now days I don't care anymore. Its good thing because lots of people can hear your music which in the end that's a big part of playing music, the down side is that I feel it has ruined the concept of a full album. Too many single chasers out there now, because there is so much "free" music. No many people have the experience of spending money on albums that they thought were just good, but after listening to them for a couple days they realized the greatness of that album. Not much patience with music because its all free. It also makes it near impossible to be a full time musician these days, but it is what it is. It has its ups and downs. Joe: Lots of Rock! More shows in the state and all around the west! Ryan: The band consists of Tyler Anderson on guitar and vocals, myself on guitar, Angie Midgley on bass, Greg Midgley on keyboard and Ryan Gee on drums. Tyler: When I was in high school, my older brothers played music and were in local bands such as The Decomposers and Smell. I thought if they could do it, I could do it too. I taught myself how to play guitar. I loved Fugazi, Pavement, Uncle Tupelo, Archers of Loaf. Gavin: Tyler, how did you originally start out performing under Bronco as a solo artist, and what was it like for you during the first few years? Tyler: I played a few solo shows, then I asked my brother Coby to back me up on the drums. We were trying to think of a name for our new ensemble. We thought about calling ourselves Bone and Co. (My childhood nickname is T-Bone.) But Coby quickly turned it into Bronco. It was great being solo but I could hear the songs with additional instruments backing me up. Gavin: In 2007 you released the full-length album Constant Everything. What was the recording process like for you? Ryan: It taught us a lot about how to make a record. I realized we had been playing these songs for over two years and I wanted to put them down. Ryan: We had a great CD release party and sold a lot of copies. But we are not quitting our day jobs. Gavin: Currently you're working on a follow-up album, Painting Pictures Of A Perfect Life. What can you tell us about the album and how things are going so far? Tyler: We completed the recording last week after three years of work. This album is less of a singer-songwriter with a back-up band and more of a collaborative effort. The economic recession served as a backdrop for much of the song writing. "Painting pictures of a perfect life," refers to the aspirations that both built and burst the bubble. There will be a CD release show on March 25th at the Urban Lounge. Ryan: We are so flattered to be back for a second year. We think it's great that City Weekly recognizes the efforts of local musicians. Tyler: It's always great to be surprised by new talent in Salt Lake. Tyler: The Devil Whale, Cub Country, Laser Fang, David Williams, The American Shakes and La Farsa. Ryan: Please come to our CD release party March 25th at the Urban Lounge! We will be playing with Callow, Fauna and The Rubes. Take home your own copy of Painting Pictures Of A Perfect Life. Find us on Facebook.